While I don’t get emails, I do think there’s plenty of pre-warning on the Calendar - just needs a good browse, usually at the start of the month in case it’s been updated. Yes, I agree with you and that’s how I knew about it. But people attending last night were asking for the Society to be more proactive about contacting them when an event was in the pipeline. If you live somewhere where events are rare you may get out of the habit of checking. Just looking at the tastings info and I see that the “tastings brochure” heading brings up 4 brochures covering Jan-Dec 2018, really of rather limited use now. Also, strangely, the “tastings in your area” (=London) appeared briefly but then disappeared and doesn’t seem to want to come back. At least, the heading is there but the content is gone. I have previously, either in this forum or elsewhere, suggested the event calendar would be much more helpful if the locations were more visible, instead of having to look at every event on the calendar separately. Just an opinion. Hi all, I work with the tastings team in terms of marketing; helping to produce the brochure, briefing emails etc. 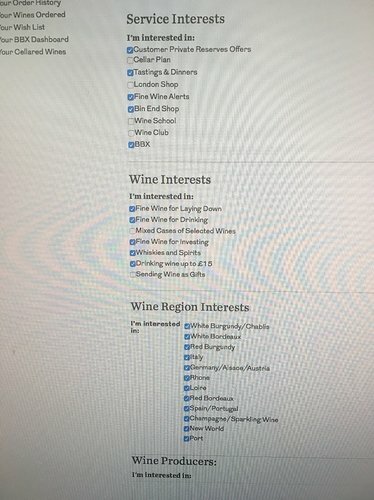 I’m sorry to hear that many of you are missing out on these tastings and am more than happy to give some more info on how we are currently targeting these. We currently do target the printed brochure and all emails based on location, based on distance from the venue (this is for non-London and Stevenage tastings, which we base on given tasting themes). For print we are a little bit tighter than we are for emails, but generally the basis is that for people who haven’t attended tastings before it is a tight distance from the venue, while for regular attendees we allow for a longer journey. We are currently planning on meeting to look at our targeting of tastings emails specifically and the brochure as well in January to see how we might improve. I hope we can do as don’t like to hear that people are missing out and being disappointed. I am normally the first the jump in with expecting to be told about everything you want from TWS is an impossible ask, but tastings within X distance of your registered address should be fairly straightforward. Good to hear they want to address the issue. One slightly perverse outcome for me is that I now keep an eye on London tasting dates to see if they coincide with business visits…which doesn’t really help in trying to increase regional exposure. I am pleased that they are at least going to look at it. But it isn’t distance, in miles, from the venue that matters. It is distance in time and (unless you expect great self-restraint and concentrated spitting) distance by public transport. And it isn’t just distance to the address which you hold, presumably mainly home addresses, but to work address or to some other place that people visit regularly. So I don’t think you can hope to target without ASKING people to specify their own choice of areas. Thanks, everyone. We’ll be bearing all these comments in mind when we meet to discuss this in January so your feedback really does help! Ive not found a preferences section within “my account” on the website - so no ability to add in this marketing critical data - I’m therefore assuming marketing data is from previous purchase (wine and events), location and wish list. “Preferences” means GDPR compliance is achieved as the client has opted in and can change their mind at anytime. BBR have a system (screenshot attached) that seems to work very well and all marketing I receive is targeted towards my likes and means a higher level of engagement…and (currently) a higher spend there than at TWS. From a sales background (now with my own consultancy) this is an approach I would choose / recommend…but might mean expensive software implementation / upgrade so ROI needs to be evaluated. IS this something the Society would do @hugofount @laura ? Thanks, James! I really do appreciate this - and we’re in the middle of looking into email preferences etc on a wider scale so believe me, I hear you! I’ll report back as soon as I can about this - while it’s not something I (or @hugofount) are directly involved with, it’s something I feel quite passionately about after various discussions here. 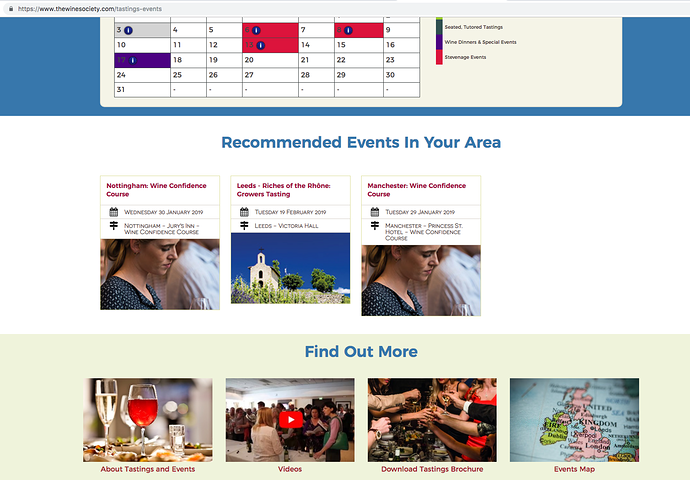 Wondering when the calendar of tasting events will be updated past the first QTR ? Thinking along the same lines…! The next brochure is being sent out in the first week of Feb, so I reckon you can expect the info online around then! Early days, but looking like a really great group of events.